I have an Apple Watch 3. But that is how long Spotify has to give me an app that lets me stream to the new watch without my iPhone. I love Spotify, but I can’t wait indefinitely to stream to the watch. Apple Watch is capable of playing music with the remote control of iPhone, or syncing 250 songs for playback without iPhone, which is super useful for outdoor workouts. Before starts, the music (from Apple Music, purchased from iTunes, or added from other sources) needs to be in Apple Music app on iPhone before synced to Apple Watch. Unfortunately, music from other streaming services like Spotify won't be synced to Apple Watch yet. In order not to give up Spotify music after the purchase of Apple Watch, here we would like to share the best tips to sync Spotify music or playlists to Apple Watch for offline playback without iPhone. Because Spotify app is not available on Apple Watch yet, additionally, the DRM protection on Spotify music prevent the sync to Apple Watch, here a powerful third party tool is needed to help you download music from Spotify as local files. 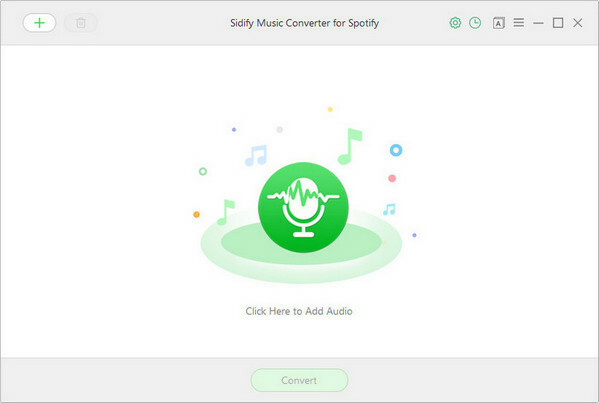 Sidify Music Converter for Spotify is definitely the one coming in handy, with which the Spotify music or playlists can be losslessly downloaded as DRM-free audio files as MP3, AAC, WAV or FLAC. 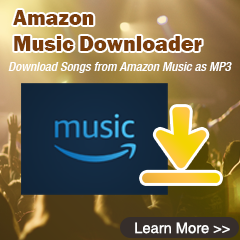 In the following parts, we will show you how to easily download Spotify music to local files as MP3 on Windows PC and the specific steps to sync the local Spotify music to Apple Watch on iPhone. 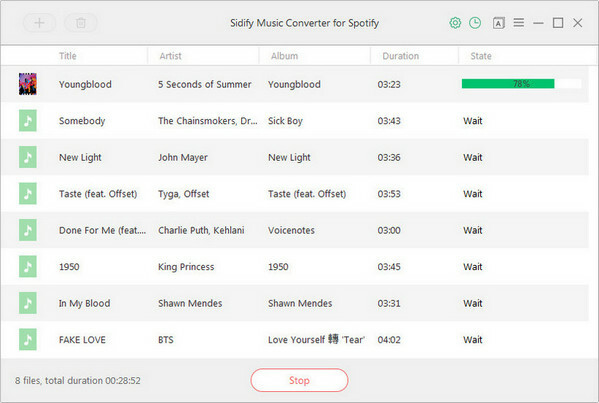 Download and install Sidify Music Converter for Spotify from the download button above, then launch it and Spotify Music app will be launched automatically if you have installed it. Firstly, go to your Spotify Music app to search for the music or playlist you want to download, then right click it and click Share to copy the music URL. Then, go to Sidify Music Converter and click icon or "Click Here to Add Audio", a dialogue will pop up to let you paste the music URL. 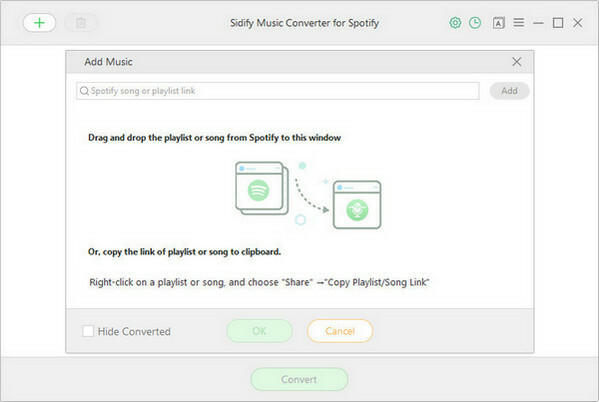 Or you can drag and drop music or playlist from Spotify to Sidify Music Converter. Finally, press "OK" to finish adding Spotify music or playlists. Click button on the top right to change the output format, output quality, output path and conversion mode. Here you can choose the output formats as MP3, AAC, FLAC and output quality up to 320 kbps to keep best audio quality. Then click "OK" to apply the setting options to the next step. 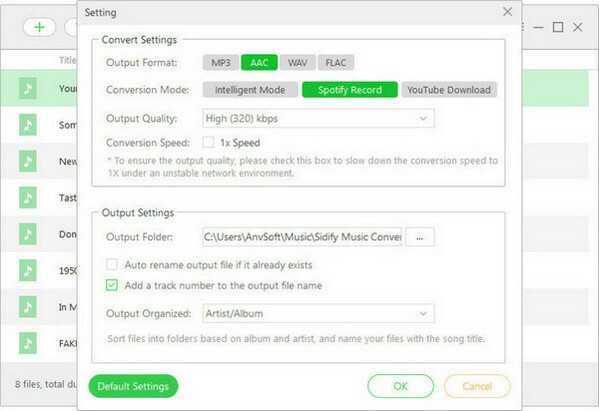 You can click "Convert" button to start downloading Spotify music to the audio format you chosen. When the downloading process competed, you can click button to check the local Spotify music files. To import the downloaded Spotify playlists to Fitbit Ionic, you need a computer with a Wi-Fi connection and the free Fitbit desktop app installed. Step 1 Sync the downloaded Spotify music from computer to iPhone. Because all the Spotify music you downloaded via Sidify Music Converter is located in computer local folder, you can add them to iTunes library on computer and turn on iCloud Music Library on iPhone to sync the downloaded Spotify music with the same Apple ID. Or you can connect iPhone to computer via USB cable to transfer the downloaded Spotify music to iPhone. 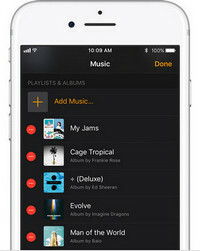 Step 2 Create a new playlist on iPhone Apple Music app. 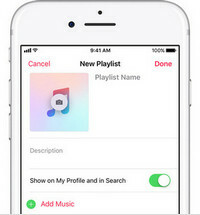 After you transfer the downloaded Spotify music to iPhone (if you sync the music with iCloud Music library, you can download them to iPhone firstly to make the sync successfully ), then you can open Apple Music app and create a new playlist like workout if you like by going to Library → Playlist → New Playlist to add the Spotify music. 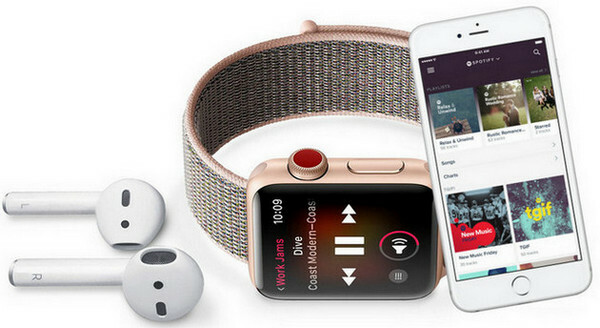 Step 3 Pair Bluetooth headphones or speakers to Apple Watch. Put Bluetooth headphones or speakers and your Apple Watch into pairing mode and then grab your Watch and go to Settings > Bluetooth. When your headphones are shown under Devices, you can tap on your headphones to pair them. Step 4 Start to play Spotify Music. After the converted Spotify playlist synced and your headphones paired, you can open the Music app on Apple Watch and choose a music source for playback. Now, with the tips mentioned above, you don’t need to give up Spotify because of the inaccessibility on Apple Watch. You can follow this tutorial to sync the music you downloaded from Spotify via Sidify Music Converter to Apple Watch for the listening while outdoor workouts.